Nothing makes me happier than my evening skincare routine. Perhaps that's because it also includes comfy pyjamas and is shortly followed by bedtime? Luckily my skin is quite fond of this time of day too as it's when I really go to town on my skincare treatments and it can soak up all of the nutrients undisturbed. 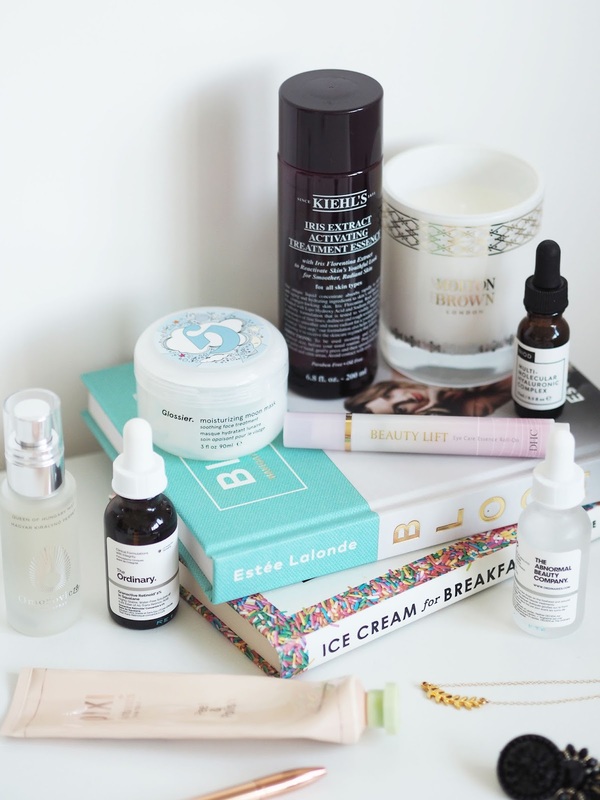 Over the past year or so I've really honed down my skincare routine to a good selection of products I know I can trust, so whatever my skin throws at me I've got a solution for it. Let's dive in, shall we? 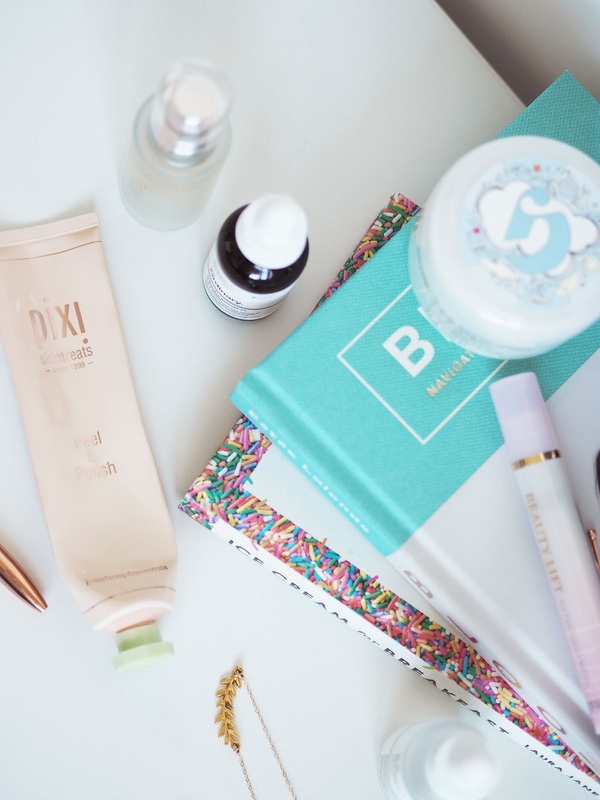 Not just reserved for the evening, as I'm quite fond of popping this on to work while I get ready in the morning, this exfoliator from PIXI guarantees soft, radiant smooth skin and no irritation. It's super gentle while not compromising on efficacy so I tend to indulge two to three times a week and follow with a mask if needed. A lot of the time the PIXI Peel & Polish is enough on its own though as it's a bit of a wonder treatment. I've sung its praises many a time before, but it really is that good! A nice thick layer of this mask really plumps up my skin and it's also quite cooling so helps calm down any irritation. I had a reaction to a new product I was testing recently and this soothed it away with one use. 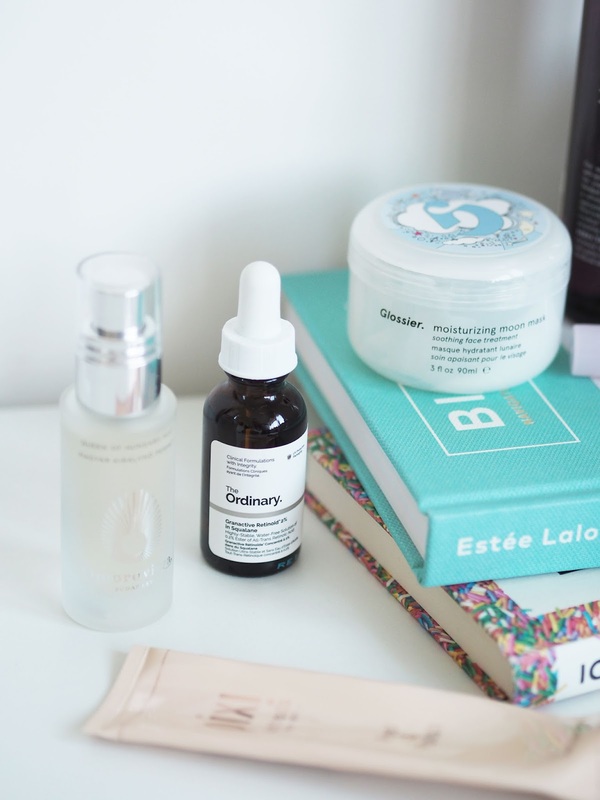 I've also heard good things about Glossier's detox mask so it's firmly on my list to try next. This is the bottle that just keeps on giving as much as I use it, it keeps going. Not that I am complaining! For me this is an essential hit of hydration that helps keep some bounce to my skin and also helps exfoliate with lipo hydroxy acid. Patted onto the skin this has really helped my texture issues too. This is as much a treatment for the senses as well as it is for the complexion as neroli never fails to put me in a good uplifted mood. I tend to keep this in my bag for refreshing up my makeup while on the go and it doesn't disappoint. This roll on eye gel is perfect for dealing with puffiness and dry eyes and I'm really enjoying using it. It's incredibly therapeutic to roll the cold metal applicator balls around the eye socket, let me tell you. A fairly new addition to my skincare line up, this is exactly the thing for plumping the skin with moisture. It's clearly something I'm obsessed with! 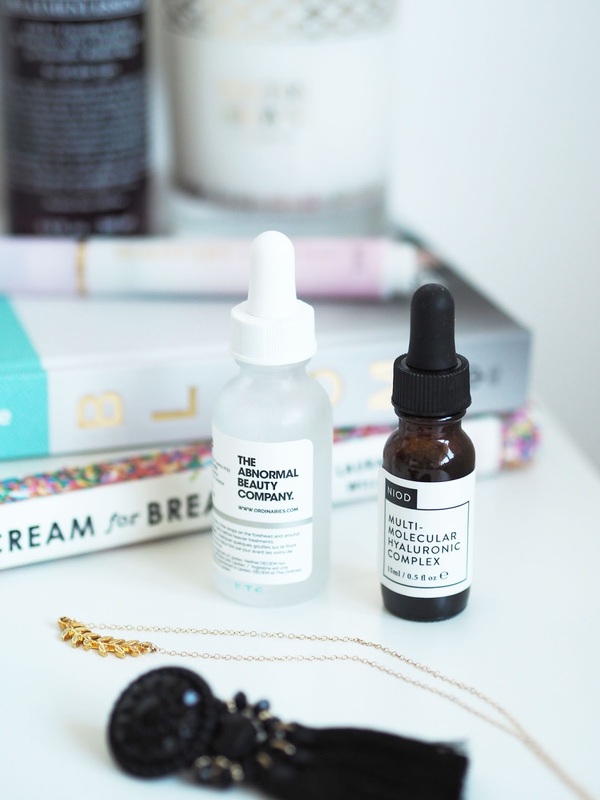 This serum is an incredibly clever blend of 12 forms of hyaluronic acid, which is exactly what you would expect from NIOD. I find that layering moisture in the form of an essence, serum and then moisturiser on top to be really effective and as each layer is light my skin responds really well and soaks up every last drop. I wouldn't be without hyaluronic acid now. The previous incarnation of The Ordinary's pure retinol was incredibly harsh on the skin so I'm really glad they reformulated it to include squalane to combat that. I tend to use this a couple of night's a week when my skin doesn't need anything else on top so that the retinol can work uninterrupted. The Ordinary Granactive Retinoid 2% in Squalane is formulated with hydroxypinacolone retinoid which is one of the more advance forms of retinol that only has one conversion to make in order to become pure retinoic acid so it's the most potent over the counter form currently available. I'm not too keen on the scent of it but it's more about how it works than how it smells! This is the newest addition to my skincare treatment arsenal which sounded too good to miss. It's supposed to help smooth out wrinkles around the eyes and foreheads so I'm using it twice daily in a bid to turn back the years. It's early days so I'll need to report back on this one. Have you tried any of these and what skincare treatments do you love? The post Skincare Treatments On Rotation appeared first on Lelore. This post contains affiliate links. Please read my disclaimer to find out more.